When a Super Hero is your muse, the results can be amazing. And Lexus is proving just that with two new vehicles inspired by its team-up with Marvel Studios’ “Black Panther”—a 2018 LC Inspiration Series production car and a concept coupe dubbed the Black Panther Inspired LC. As previously announced, Lexus and Marvel have collaborated to pair the 2018 Lexus LC 500 with Marvel’s dynamic Black Panther character in the highly anticipated film, Marvel Studios’ “Black Panther,” in U.S. theaters February 16, 2018. The limited-edition 2018 Lexus LC Inspiration Series features an exclusive deeply saturated, iridescent Structural Blue color. 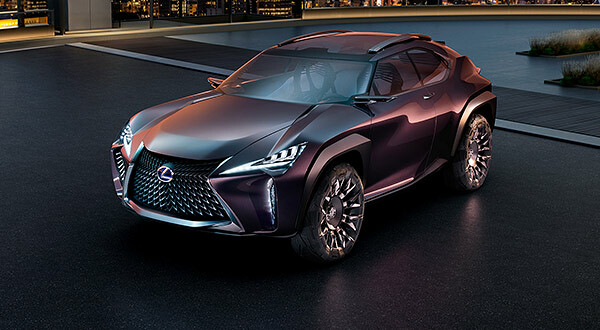 This vehicle is the first in a succession of Inspiration Series vehicles Lexus plans to create for each of its flagship models. Separately, the Black Panther Inspired LC concept coupe is a celebration of the Black Panther and Wakanda itself—complete with a powertrain that gets an extra boost from vibranium, the mythical ore found only in the Black Panther’s home of Wakanda. Fit for a Super Hero who is also a king, this vehicle is part Lexus Takumi craftsmanship, part Wakandan vibranium engineering and all badass. This concept vehicle incorporates (mythical) vibranium into its very core to provide added boost. Much like Black Panther’s uniform, the sheet metal of the Black Panther Inspired LC is reinforced with a layer of vibranium weave, making the vehicle almost entirely bulletproof. Top-secret refinement processes also allow for a self-sustaining fueling component (vibranium-powered core) that enhances the Black Panther Inspired LC’s driving dynamics.